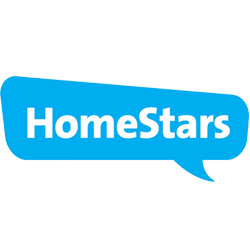 HammerDown Home Improvement did an amazing job completing the upgrade to my Ensuite bathroom. From start to finish Sean and the team not only built what I had in mind but they guided the design based on experience and industry trends. The team was extremely detailed and efficient while being very friendly and helpful. The bathroom came out amazing and I was so impressed with their work I immediately asked them to complete my basement. The basement was a standard unfinished new home basement, furnace and water tank were in the middle. Just like the bathroom upgrade, the team was incredible. In addition Sean brought in other professionals to deal with certain items such as the furnace/tank move, carpet and plumbing. Each one of them were just as great as the rest of the team. Working fast but cutting no corners while being very courteous and helpful. Between both projects Sean kept me up to date on every detail and when to expect someone at the house. The budget and completion time was on target but also flexible as they were being completed which helps greatly in making any changes. All the while the guys would put their two cents in which 99% of the time made total sense and saved me from any future issues!